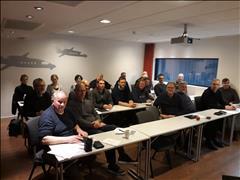 The ringmaster seminar in Gardermoen, Norway, was attended by 21 experienced ringmasters, judges and interested persons from different FEIF countries. Lectures were given by Pétur Halldórsson, Iceland, and Heimir Gunnarsson, Sweden. Main topics included a lecture on injuries found with breeding horses, demonstration and practical demonstration of measurements and equipment controls, health control procedures and more interesting topics. The goal of the seminar was the improvement and standardization of checking procedures in FEIF breeding assessments. Thank you to the team of Engelstad, where the practical demonstrations took place and to all who contributed to the great seminar. Follow the link to the list of approved ringmasters. A new set of rules is available for users of (classical) IceTest. The rules apply to events starting on or after April 1, 2019. The second of a two-part feature on the Icelandic horse for FEI Equestrian World is live now. Equestrian World recently featured a video on the incredible Icelandic horse, the programme is broadcast on FEI TV that has a global reach of over 238 million. The cameras have now returned to find out more about these hardy horses which are perfectly suited to the harsh Icelandic climate. 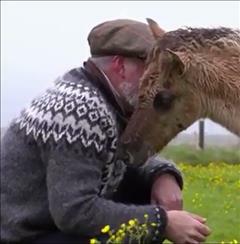 Equestrian World travelled to a remote part of the island more than 100km from Reykjavik to meet Gunnar Sturluson, an Icelandic Horse breeder and president of FEIF, at his farm. "The Icelandic horse is probably the best ambassador Iceland has!"